The forecast for romance looks splendid. Gorgeous earrings with the look of genuine gems without the expensive price are definitely cause for celebration. In our Gemdrop Earring Collection perfect, teardrop and oval cut DiamondAura® stones sparkle in ruby red, sapphire blue, and emerald green. 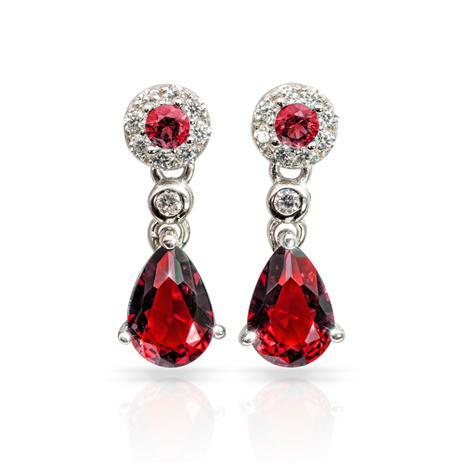 A sprinkling of white DiamondAura rounds accentuate the rich gem colors beautifully. All in all, the smart way to shower her with the look of the finest rubies, sapphires and emeralds without getting struck with a high price tag.